Louisa – What a wonderful place, so clean and organized, so comfortable. I’m not a natural coastal flower but I enjoyed the rawness and rhythm of the day, working with a view across the cove and surplus light to be able to draw, the waves sounding like a wind through the trees at home. Concentrating so hard on the rocks I nearly missed the bobbing seal! It took me a while to settle, conscious of the time disappearing while I absorbed my surroundings and I found I needed to apply a number of strategies to calm me down: a daily walk in a different direction, time for a sketchbook and diary, a detailed drawing in my comfort zone. Then inspiration in Katherine Holmes book “In Grandmothers Footsteps”, a walk through the lanes and the work began to roll off the page. Great to be able to focus completely without distraction of phones and internet and simply play with the graphite, working fast and loose in a new way. A small body of work completed and continuing to inform my practice. Leila – It was a profound experience in which I had the time and space to experiment with techniques and colours, and my work has changed as a result. I loved being able to immerse myself in the place and in my work without distraction. A walk along the coast to Sennen Cove was a highlight, as well as the variety of weather during the week, ranging from sunny and calm to wild and windy. 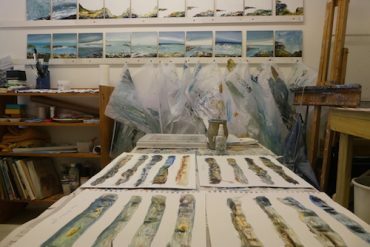 Whilst I didn’t produce finished works while I was there, I have made good progress in my studio since then working on a collection called “At the Edge”. One of these is included in House & Garden magazine August 2018. 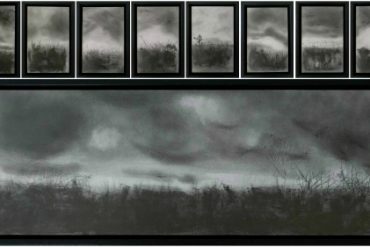 Several others are exhibited in the window at Chalk Gallery in Lewes, with others on their way to galleries in Winchester and London. I feel my work has improved because of the experience at Brisons Veor, and looks different. It was like a breath of fresh air and feels like a significant step change. An exhibition of the residency was held at the Kaleidoscope Gallery in Sevenoaks from 8-18 August.This is a contemporary Exhibition Space showcasing new and experimental work from established and emerging artists. 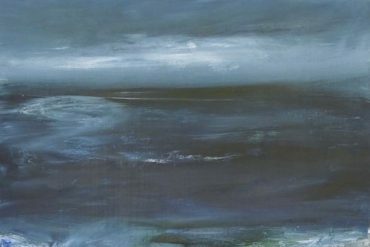 From April 2017 Rosalind Barker and Susan Evans with the members of the Sevenoaks Visual Arts Forum, have run The KCC Sevenoaks Kaleidoscope Gallery as an artist led space. SVAF also actively promotes and engages with artists’ collaboration projects and formulate interactive community and school projects in the Gallery.